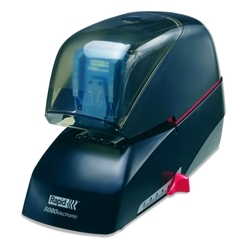 Many office staplers provide a range of compatible staple sizes each cut to handle certain sheet capacities. A staple that is too small will not penetrate the document completely, a staple too big may result in a loose fastening and uneven stacking. Very often, most users have very little time to select the right staple. 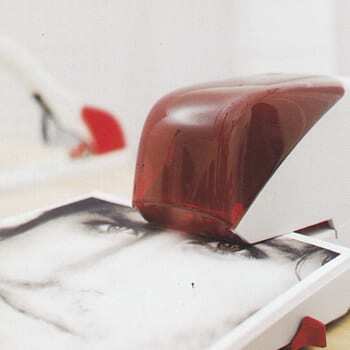 Document stapling should be a quick and easy a possible. Accept only one staple size. Cut the staple to match the size of the document. Flat Clinch the staple ends for neat edges. 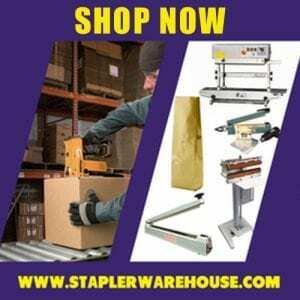 These staples are: the Rapid 5050 and 5080 electric, and the DUAX manual staplers. 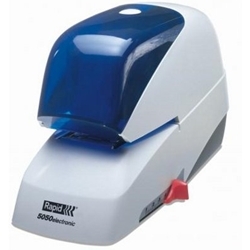 The Rapid 5050E and 5080E offer the ease of use and speed of electric stapling. They will staple up to 50 and 80 sheets of paper respectively. 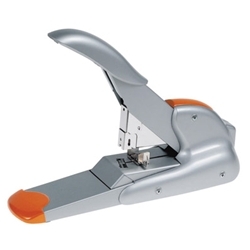 The manual Rapid DUAX stapler offers an ergonomic handle and a stapling capacity of up to 170 sheets of paper. All 3 staplers include a patented head design that cuts and clinches the staple to the appropriate length that secures your documents. All 3 units provide flat clinching for neat document edges and easy stacking.